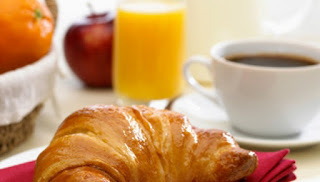 We would like to invite you to join us for a Breakfast Symposium during ATS at the convention center’s adjoining hotel. The agenda will include the three presentations listed below, followed by an opportunity for personal discussions with members of our team. Our program will be timed such that attendees can conveniently reach the convention center for scientific sessions starting at 8:15. Please r.s.v.p. through the online registration form, by email at [email protected] or by calling us toll free at 1.877.572.4737. Refining the Dose Response: What's on Your Axis? New tools and concepts introduced in flexiWare 7.5 dramatically accelerate dose response studies, enhance group separation and improve the comparability of results across studies. Dose response studies done with the new flexiVent Multi-Subject extension (MSX) exponentially improve study design while allowing incredibly fast and efficient experimentation. Nebulization protocols defined through careful understanding of the parameters not only improve AHR outcomes, but ensure data quality and reproducible aerosol challenges.